We administer drugs to ease pain, to raise or depress the spirit, stimulate or dull the intellect, conjure visions, and restore sanity . . . Many of us seek the effects of drugs such as aspirin and antidepressants on a regular basis, but have no idea what they do to our brains in order to bring about such dramatic changes in how we fell, and in some cases, how we think. In this compelling account of drug and brain research, Solomon H. Snyder tells us what scientists have discovered so far about the mechanisms by which drugs affect the brain, from opiates and amphetamines to drugs that treat anxiety and schizophrenia. We learn how this fascinating, sometimes controversial area of research has shed much light on mental disorders and other elusive brain processes we are still trying to understand. 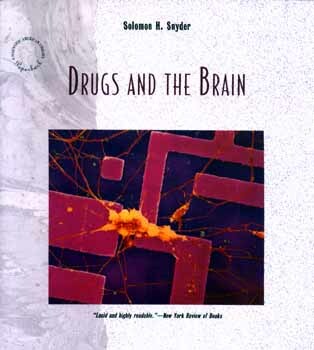 "Snyder has produced a masterly work which explains clearly how drugs affect brain function." "This is an admirable book. With his background in psychiatry and neuropharmacology and with his lively awareness of the history and social relevance of his topic, Snyder is almost uniquely placed to write about this subject." "A comprehensive, richly illustrated volume written with unusual coherence." Solomon H. Snyder is Director of the Department of Neuroscience and distinguished Service Professor of Neuroscience, Pharmacology, and Psychiatry at Johns Hopkins University. He is a member of the National Academy of Sciences, and the author of numerous articles and books, including Madness and the Brain, The Troubled Mind, and Biological Aspects of Mental Disorder.